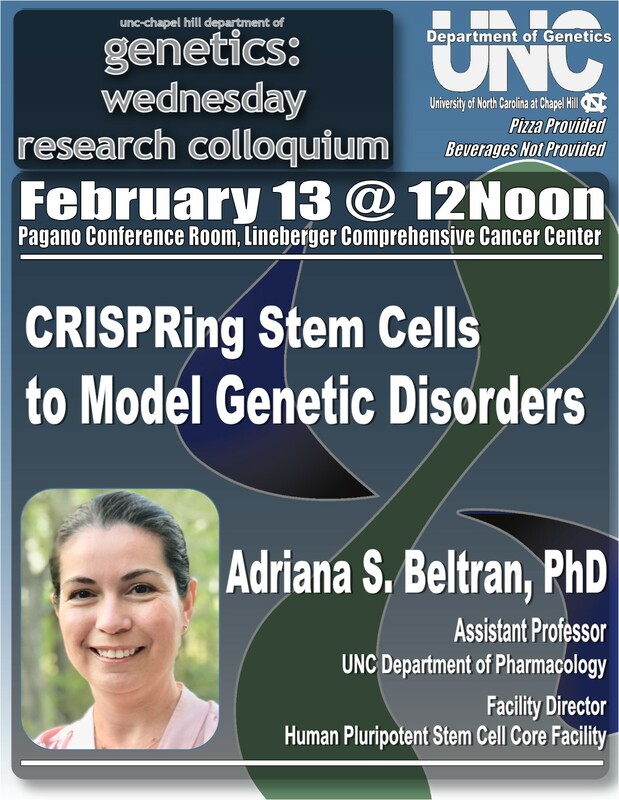 The UNC Department of Genetics Research Colloquium welcomes Adriana S. Beltran, Research Assistant Professor of Pharmacology and Facility Director of the UNC Human Pluripotent Stem Cell Core Facility on Wednesday, February 13, 2019. 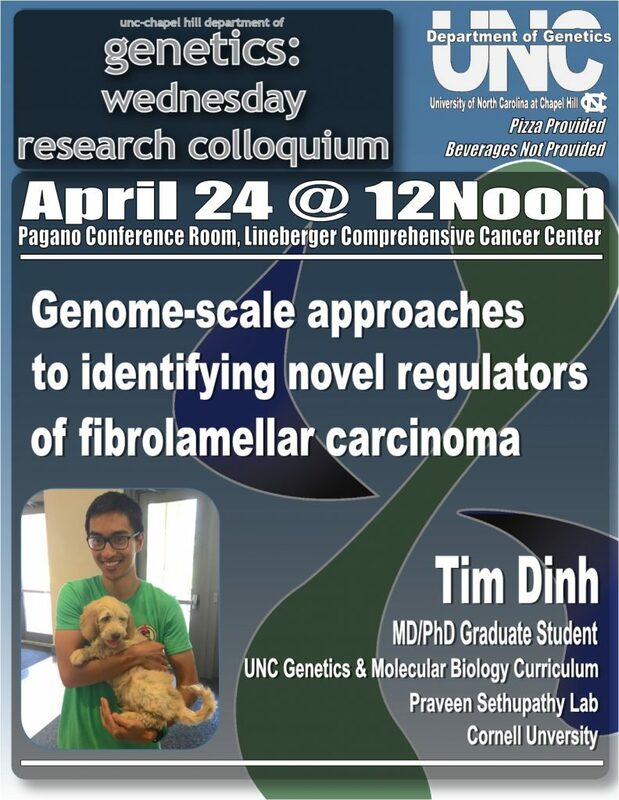 This talk title is “CRISPRing Stem Cells to Model Genetic Disorders”. Pizza will be provided. 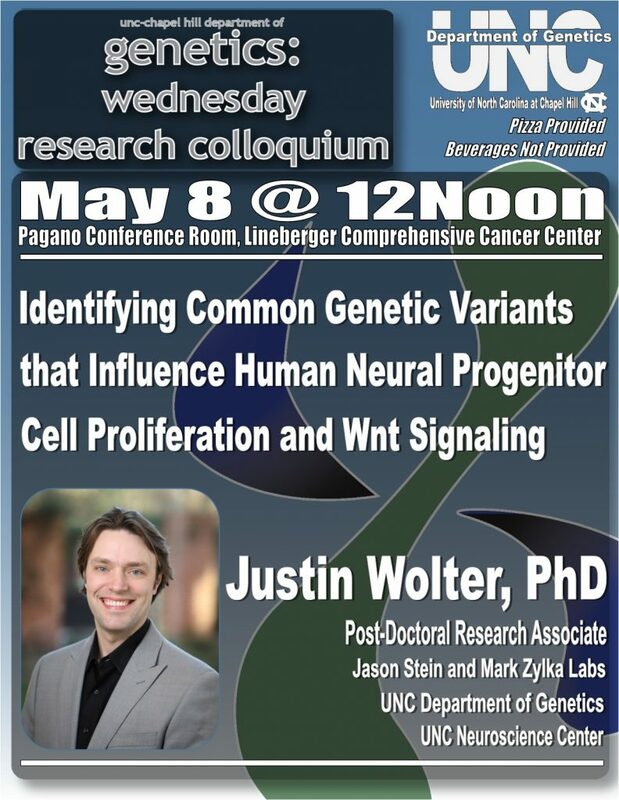 Attendees must bring own drinks.